﻿ Reviews of Beard Combs from Wooden to Handmade: Which ones are the best? 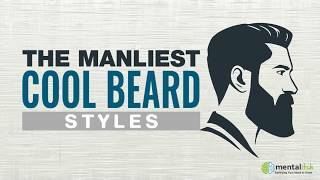 The beard is considered a symbol of manliness all over the world. In fact, according to statistics, 82% of women prefer men with beards as they look more masculine compared to men that don’t have beards. Two-thirds of the 82% would rather go on a date with a bearded man over a clean shaven guy. Although there are very many different beard styles, some of them you may never have heard of, it only takes second to point out someone in need of a trim, and this is where beard combs come into the picture. A beard comb is a must-have tool for proper grooming and maintenance of your beard, mustache and even sideburns. With the unlimited selection of combs, selecting the best beard comb can be quite problematic. Many people assume that using an ordinary drug store comb for beard combing is enough to grow a nice beard when in fact, this is far from reality. Whether short or long, rounded or pick-like, all combs serve the same purpose – making your beard grooming simpler. However, for the best possible results, it is important that the distance and size between the teeth of the comb be proportional to the density and size of your beard. There are different types of beard combs. Some made from metal, wood, plastic and there are also some that are made from bones! Like most products, the better the comb, the more expensive it is likely to be. Choose one of these and you won’t be disappointed. No one knows the beard combs industry better than G.B Kent & Sons Ltd. They have been around since 1777 and like well-aged wine, their combs are the best on the market. Kent Handmade Comb 81T is one of Kent’s flagship creations. This miniature product works well with both mustaches and beards. Its small size allows you to carry it in your pocket or even slip it in your pouch. It’s interior is slightly contoured to best follow your facial curves and you can therefore easily use it on your cheeks, chin or upper lip. The comb is 100% handmade by craftsmen that saw and fine polish it to remove any microscopic edges that are synonymous with ordinary plastic drug store beard combs. You should shiver at the mention of microscopic edges as they will rip up your beard leaving split ends regardless of your oiling regiment. The Kent 20T handmade beard comb is the perfect comb for your facial hair grooming. It is cut from a big sheet of cellulose acetate, which is made of a tactile, strong and flexible material – truly unbreakable! This is another must-have Kent beard comb that is specifically tailored for grooming of beard, mustache and hair. With a length of just 120mm and a 10mm tooth length, this grooming tool will effortlessly fit in your pocket or wallet. The Kent Slim Jim handmade comb is best suited for thinning or fine hair. A hugely popular double-sided comb with a normal and fine side, this is a high-quality sandalwood comb. Quality packaging holds the smooth, fairly large comb. Non-static, good curvature, and nice attention to detail, this is one of our faves. If you have read beard comb reviews, you probably have come across the unending debate on the best beard comb to use – plastic, metal or wooden? Wooden beard combs feature wider, longer teeth that perfectly distribute beard oil and are best suited for people with fuller and longer beards. Buuuuut if we’re being honest, and since we only want the best beard for you, we advise you to choose Kent handmade beard combs. It is true that these beard combs are a little bit more expensive than most beard combs, but the reason for this is actually quite simple – they are of superior quality. I use mine every day and it quickly became my favorite beard or brush. It is almost impossible to talk about beard combs without touching on beard brushes. Like combs, there are a wide variety of beard brushes. The boar bristle is almost always the best choice for anyone looking for a beard brush. Both badger and boar bristles are less scratchy and firmer than synthetic brushes that use vinyl. Beard brushes also come in different sizes. Larger sizes are perfect for those with huge and dense beards while the smaller sizes are good with small beards like mustaches and patches. Head over to our brushes review page for more information on the best brushes.